If you’re anything like me, you’ve probably spent most of your childhood (and early adulthood) wishing you were a witch or wizard. Of course, my childhood fell entirely in line with the Harry Potter series—when Harry was in his first year at Hogwarts, I was eleven, and by the time he battled for the safety of the wizarding world, I, too, was seventeen. Aside from possibly summoning up enough money to make a trip to Florida to the Harry Potter amusement park, the odds of me ever coming close to being an actual witch are pretty much zero. It’s a sad fact and one that I’ve had to face on a daily basis, likely always to fill me with a bit of resentment. With my backyard renovation taking place, however, I’ve found that there is only one way for me to get one step closer to feeling like I’m an actual student at Hogwarts: fire glass. What Do You Know About Fire Glass? 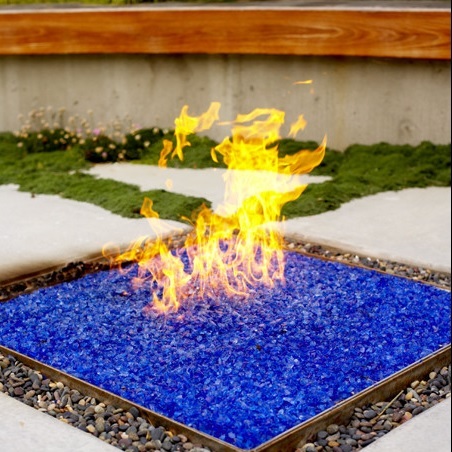 Just as it sounds, fire glass is glass that maintains the flames of a burning fire. Around for the last several years, fire glass has been actively making its way to the fireplaces and fire pits of homes around the globe. When properly made, fire glass is tempered and specially treated to withstand an incredibly high amount of heat at a prolonged rate of time. The pieces of fire glass are typically pebble sized, and taken through a tumbler prior to sale to the public, giving the individual pieces of fire glass an appearance similar to the softened edges of sea-glass rather than that of shattered glass. 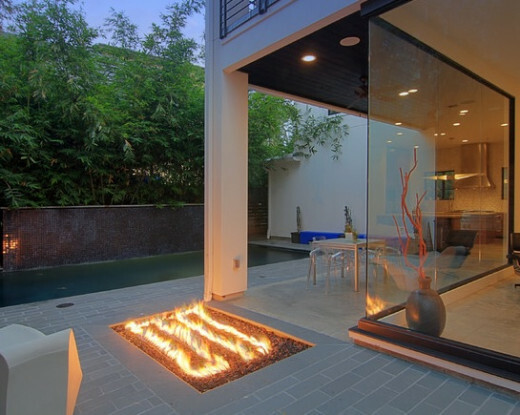 What Kind of Fire Glass Is Right For You? 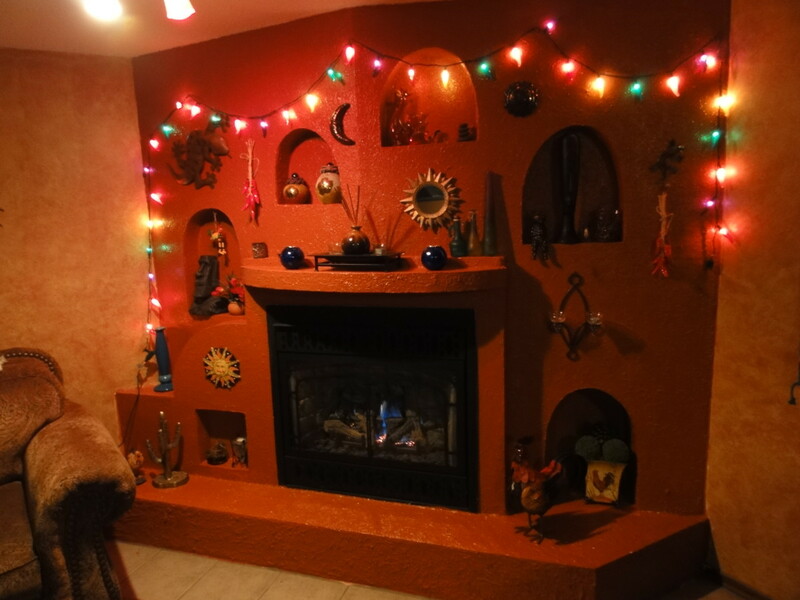 Fire glass comes in an assortment of sizes and colors. Usually available in sizes as small as 1/4" inch pebbles, there is a size, type, and color of fire glass right for everyone. Available in colors from reds, oranges, blues, and more, fire glass allows you to create your own collection to match your design aesthetic. Fire glass, in contrast to its counterparts of coals and wood, is not messy, and leaves no trace of ash, soot, or grease behind. It also, despite common belief, is hotter than the traditional fireplace and retains the heat for a much longer period of time. This in turn cuts down on the cost of firewood and coals. Finally, because the fire glass does not produce any smoke, there is no discernible odor given off from the glass stones, making them safe for indoor use. For these reasons, fire glass serves as an outstanding substitute for both your indoor and outdoor fireplace needs. Where a traditional fireplace often times collects grease and ash from use, those utilizing fire glass do not require frequent cleanup and therefore retain the beauty of the fireplace or fire pit for years to come. Because fire glass does not use wood to create its fire, it is both environmentally safe and safe for your home. The tempered glass does not give off any toxic smoke, and there is no worry of ash inhalation while sitting around the open flame. Additionally, because fire glass is run through a tumbler prior to sale, the edges are sanded down and rounded. This limits the risk of injury should you or another member of your family come into contact with the glass pieces. These rounded pieces are also kept fairly small—typically no larger than gravel sized—so that they do not run the risk of heating up and exploding, therefore sending pieces of glass careening into its audience. As with anything, your research, similar to my own, should be thorough before making the investment in your own pile of fire glass. It is important to remember, that while all reputable manufacturers have taken every precaution possible to limit the risk of injury from fire glass, it is still a form of glass and should be handled carefully. In a similar sense, despite a lack of smoke inhalation or ash, professionals recommend still keeping a gate around any open flame to prevent burns. In my own personal experience, investing in fire glass has been an enjoyable decision. Aside from the environmental factors mentioned above, as well as my own lungs being safely intact, the flames created by fire glass are entirely lovely to behold. By having the ability to mix and match different colors of glass, a standard fire becomes a nightly show. With the fragmented particles of glass emitting a glittering spectacle of light, you’ll find it nearly impossible to convince yourself that you’re not staring at a piece of sorcery. And while fire glass pits may mean that you and your family don’t get to grill over the open flame of your fire pit, I say who cares? You’re now as close as you’ll ever get to becoming a witch or wizard, and therefore the house-elves can take care of the cooking for you. Looking for More Fire Pit Information? Simple, custom seating for less than $30! here is how to make a cinder block bench to surround your fire pit! 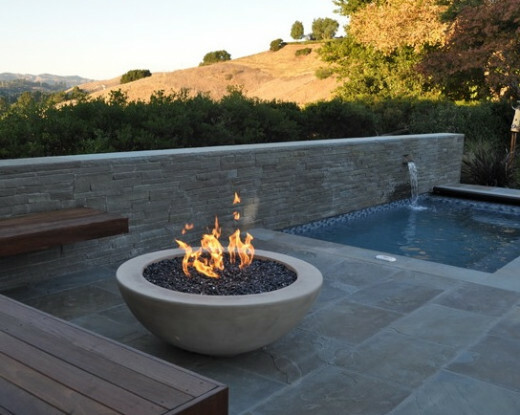 Learn more about the care and keeping of your fire pit in your home! No longer will a wood deck with a barbecue do for many homeowners wanting to enjoy their back yards. These days, accessorizing means amenities like ponds, fire pits, and more. Learn the proper means of fire safety here, and always grill safely!